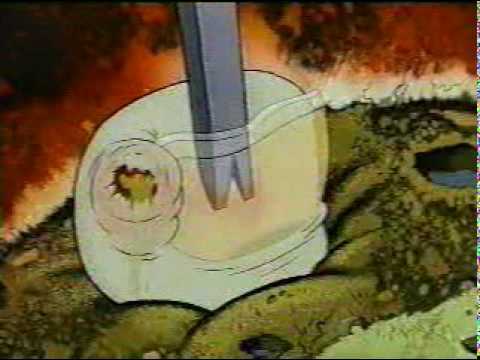 In a way, gross moments are what made Ren & Stimpy the show that it was. When you tuned in to the Nick TV show, you pretty much expected disgusting Ren and Stimpy visuals. All these years later, you might not remember them off the top of your head, but you definitely remember the sense of deep revulsion these scenes inspired. Whether it’s because you were too young or you were simply too squeamish, you may have missed or forgotten about the most disgusting, off-putting revolting Ren & Stimpy images. How about taking some time to remember and vote up the most disgusting images ever featured on arguably Nickelodeon's nastiest show ever? On the season two episode, “Ren’s Toothache,” it's revealed that Ren has never brushed his teeth, so, naturally, he has a toothache. Dental horror makes most people cringe, but this show takes oral unpleasantness to the maximum. Ren refuses to brush his teeth and they steam, crack, and are eventually ground into powder. His rotten gums and nerve endings are revealed in all their horrifying glory and it’s just a truly gag-worthy scene that’s widely considered too off-putting to be humorous or enjoyable. On season four’s “Magical Golden Singing Cheeses,” Stimpy takes a crowbar to a toe, jamming it beneath to reveal gooey residue as he pries it off. Then, any children watching get to see the glorious sight of him removing the implanted, jagged end of said crowbar from the top of the toe. It’s about as graphic as mainstream animation can get. If you're looking for evidence that this show was more interested in disgusting audiences than providing humor or entertainment, this might be the top candidate. 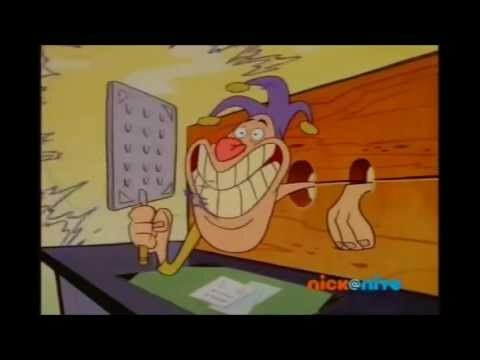 For some unknown reason, a jester takes a cheese grater to his arm, raking his skin off. Then he rubs lemon on it and pours a bunch of salt on top for good measure. This is quite possibly the most horrific scene in the history of cartoons. In only the second episode of the series, “Nurse Stimpy,” the show effectively announced its disgusting intentions, showcasing boogers known as “Magic Nose Goblins.” These boogers belonging to Stimpy are stuck under a stool. They communicate with him and, for some reason, they're featured in multiple episodes. Having sticky boogers as characters on your series is pretty much an admission that you're really trying to be gross.